Despite its' small appearance, this is currently our most popular model. 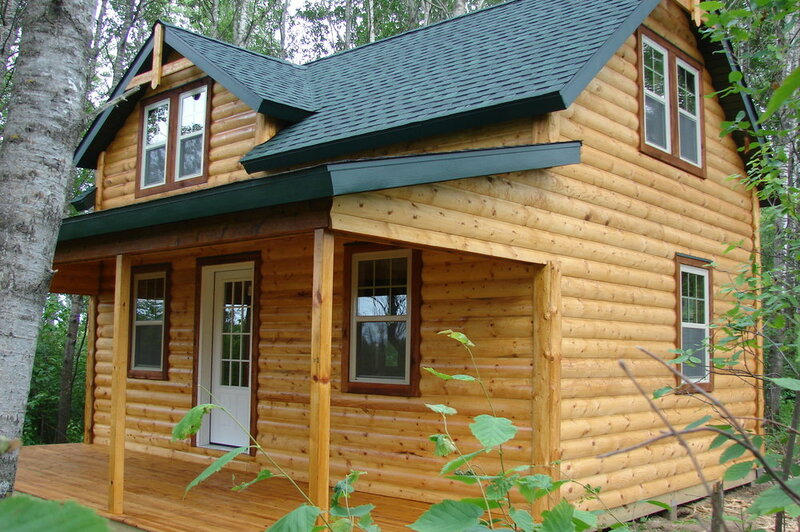 This cabin is quite roomy featuring 10' sidewalls and a 10/12 roof slope. The tall sidewalls offer the option of larger windows, more wall space for shelves, animal mounts, etc. , while the steep roof slope gives it a very open feeling. Price includes the dormer loft, and stairway.